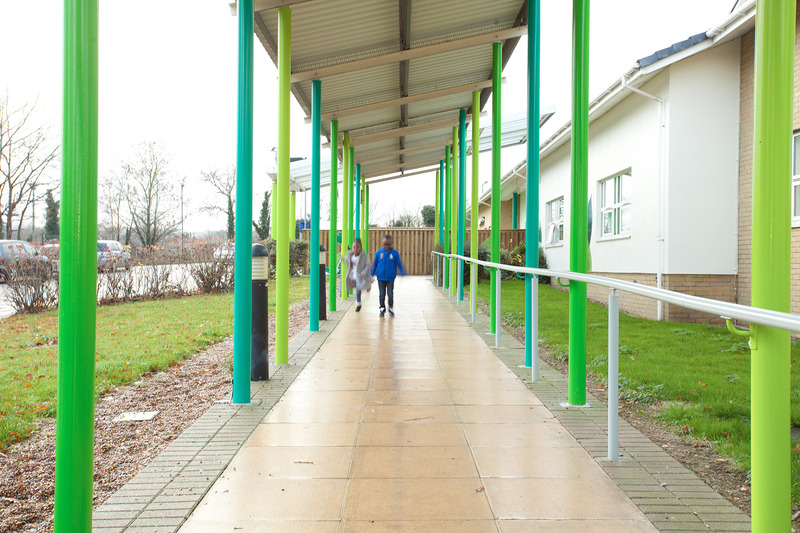 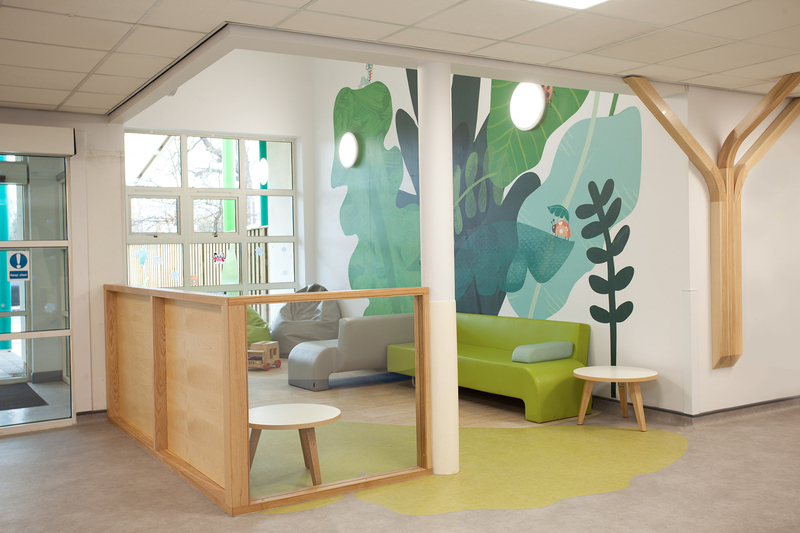 Boex provided interior design services to Oxleas NHS Foundation Trust for their new Child Development Centre. 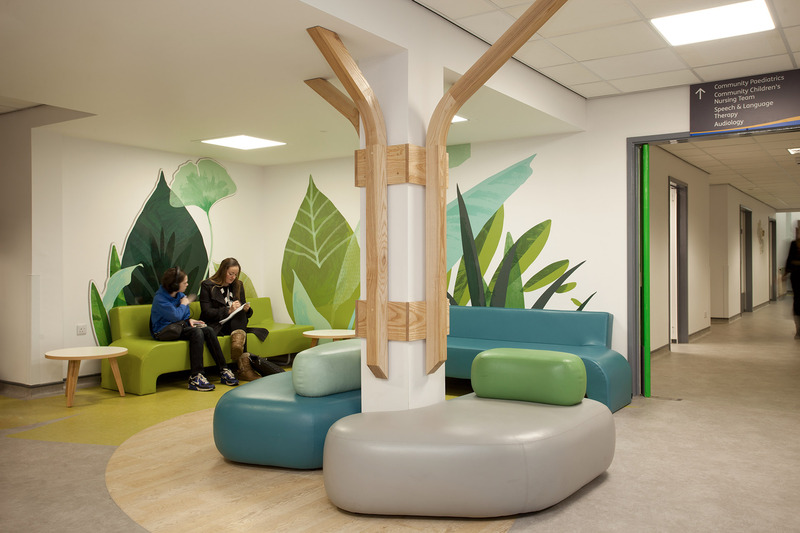 Acorns, at Queen Mary’s Hospital, Sidcup, brings many different functions, including CAMHS, physiotherapy, audiology and occupational therapy together. 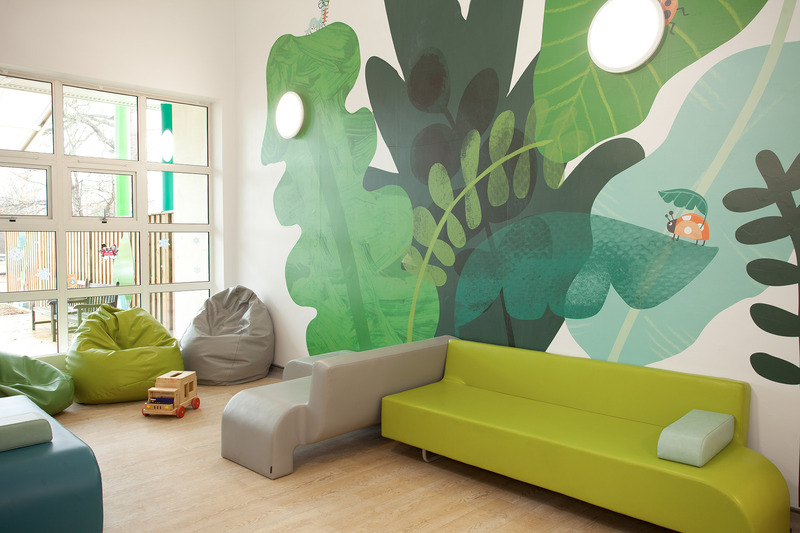 We started with co-design workshops with some of the children, young people, clinicians and staff of the current children’s services, building up a wishlist of inspiration and ideas about how the new interiors might look and creating a collection of mixed media leaf inspired shapes, textures and brushstrokes. 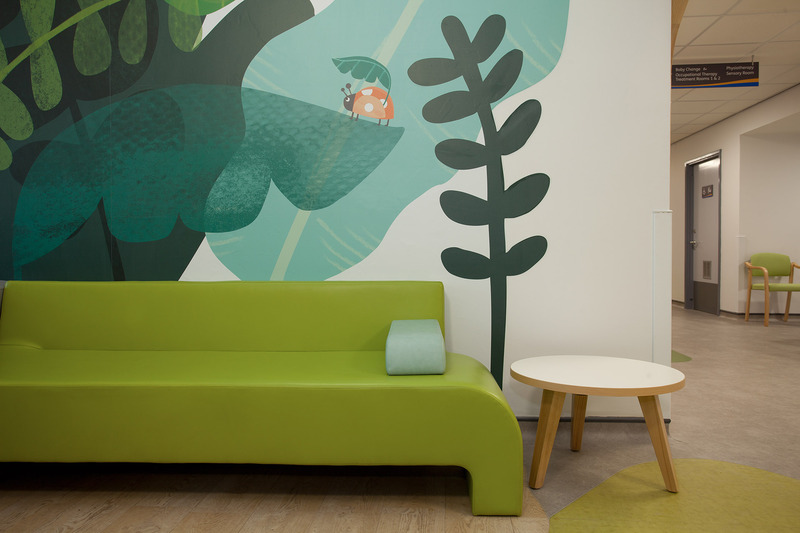 Working collaboratively with illustrator Rose Darling, the workshop ideas and paintings were developed into graphics that could be incorporated into the interior design. 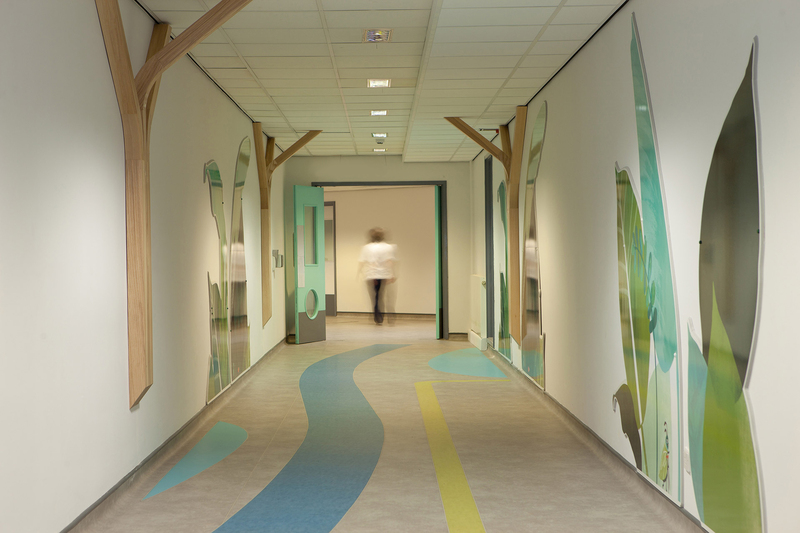 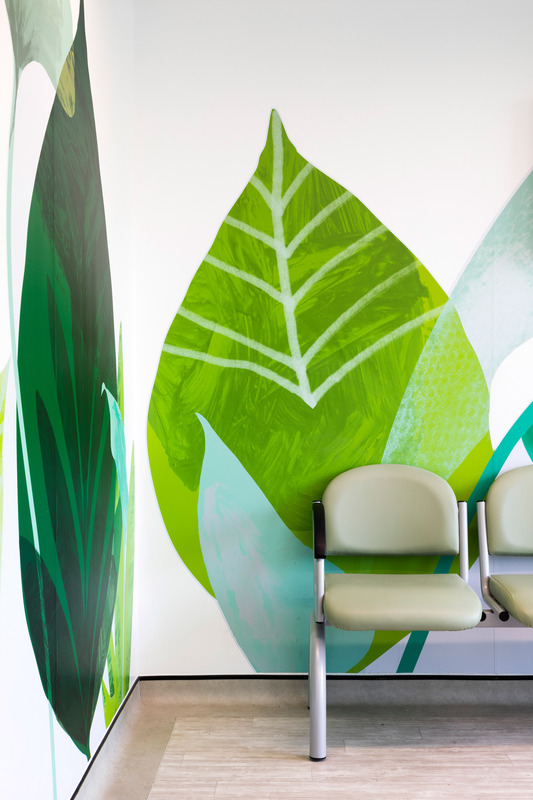 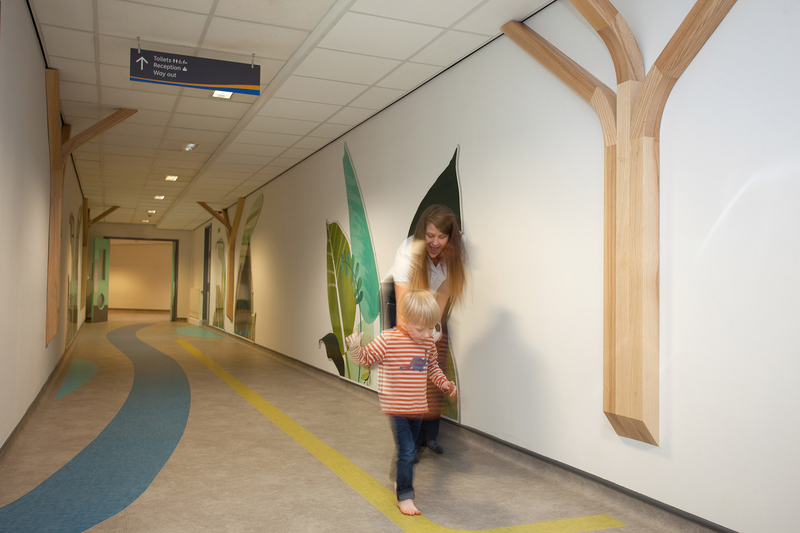 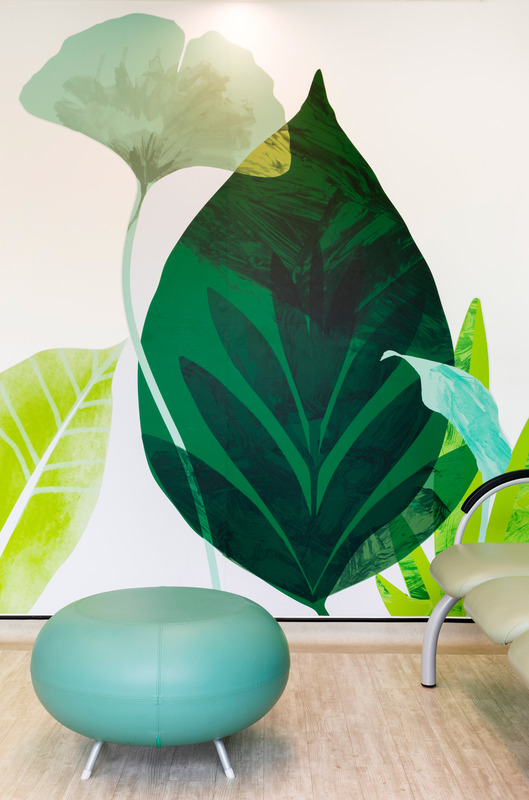 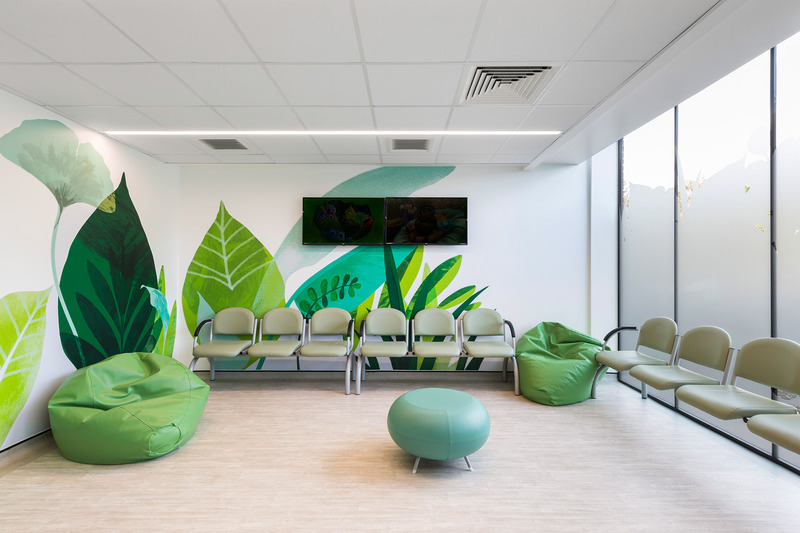 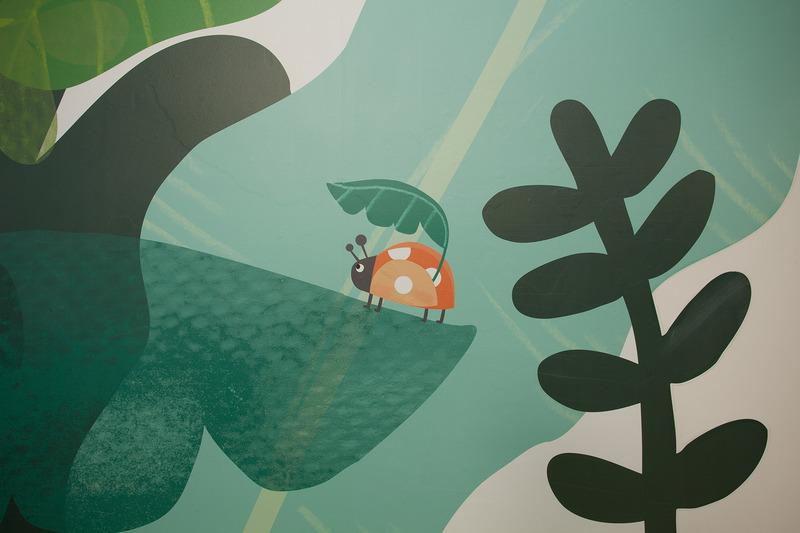 With a ‘nature’ colour palette and organic shapes inspired by the illustrations, our designs included custom seating in infection-safe fabric, timber accents to the pillars to echo tree boughs and large, digitally printed floor to ceiling graphics. 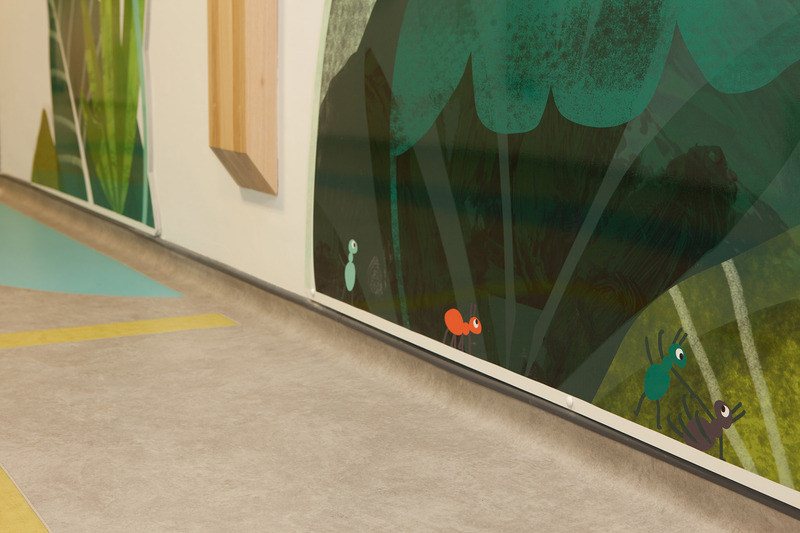 The flooring also contains similar graphic motifs, helping to define areas. 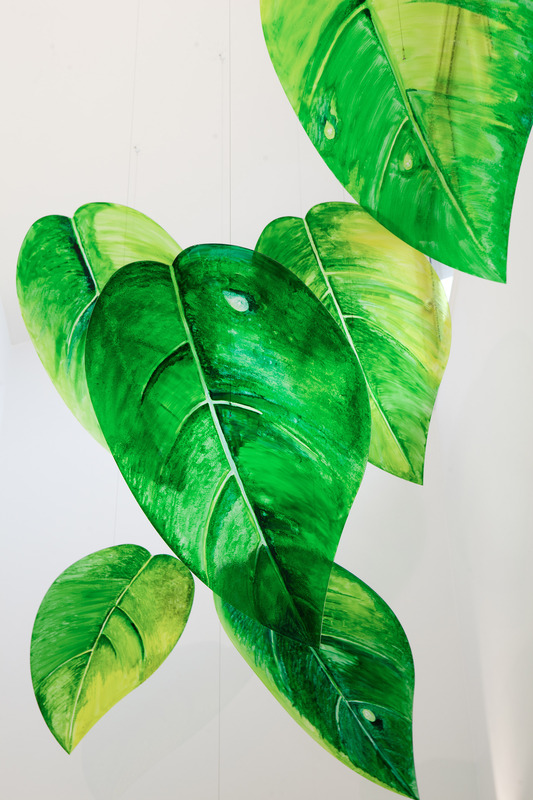 Finally, we worked with artist Jan Blake to install a stunning leaf mobile in the new atrium. 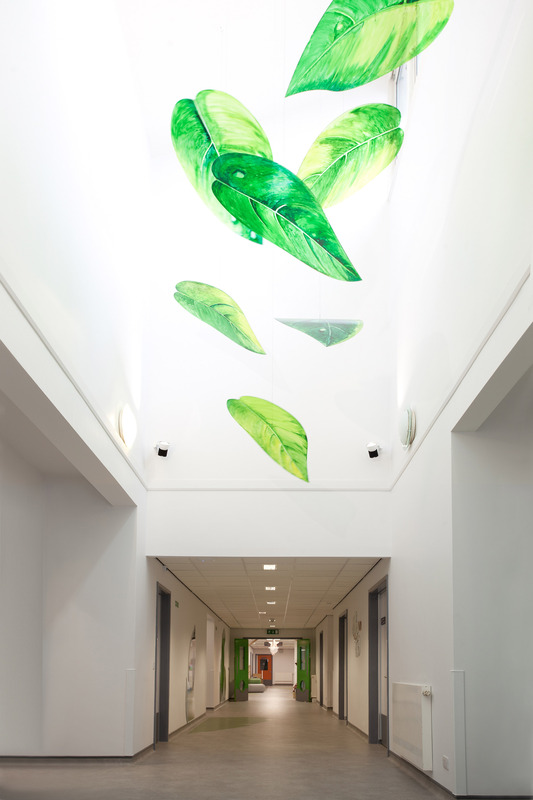 Light shines through the gently moving leaves to produce a wonderfully calming environment, setting the scene for patients as soon as they arrive.